What first drew you to Mina Loy? I was something of an apprentice expatriate myself when I discovered her. I’d lived in France for five years, and I doubted whether I would ever return to the United States, so I had a strong interest in the memoirs of expatriates. It was as if I was sorting their lives and experiences in order to make sense of my own, although I wasn’t fully conscious of this. When I found references to Mina Loy in The Autobiography of Alice B. Toklas and Being Geniuses Together and the other scattered books that mention her, I responded with a mixture of curiousity and sympathy for a person who seemed so remarkable, but also seemed to have disappeared from history. She was described by various people as a painter, a poet, a maker of lampshades, a woman who was incredibly beautiful and witty, who was somehow scraping by while raising two daughters, who was friends with people ranging from Gertrude Stein to James Joyce to Man Ray to Peggy Guggenheim, and I thought, “How could such a person disappear?” I was drawn to her out of a mixture of curiosity, admiration and affinity. So much so that you spent fifteen years working on her biography. Yes. I came back to the US with my infant daughter to join my husband in California and was quite disoriented, having been away from the US for so long. I taught part-time and translated books from French to English, and did a few other things, but I was always working on the Mina Loy project as well. It was very hard to do from California. I went on research trips when my husband was on sabbatical or when I was able to get grants. But it was a way to keep in touch with the way my life had been before coming to California. Biographers often find that the lives of their subjects end up ’speaking’ to their own lives. If there’s an affinity, that’s often what drives the research, the hidden similarities and themes that touch the biographer’s own life. In my own case, there were some that have become obvious over time. They include the expatriation theme– I was born in Australia, moved to America when I was young, and then travelled to France at nineteen, after which I lived there as often as I could. That seemed to link me to Mina Loy, who travelled extensively—far more than I, and at a time when it was unusual for women to do so much travelling on their own. So I was drawn to her as a traveller, a woman whose art expressed such a strong desire for the other, for the foreign, for a larger view of the modern condition than she could find at home in London. While I was brought up in America, my mother—like most Australians of her generation—looked to London as the center of culture, the place to which any intelligent or artistic person might wish to go. But I always knew that Paris was where I wanted to go, just as it had been for Mina. Growing up in a British culture and then escaping from it, to find out what it didn’t offer—particularly what it didn’t offer women—that was one dimension of the affinity. There are others as well, ones that are more personal. Authors of literary biography often have to struggle with the balancing act between the life of the subject and the criticism of the literature. How did you handle this tension in this book? I was very much aware of that problem because of my training in English literature, and I came to this project with the mindset and experience of a literary critic. Nobody had said that I could write a biography, nobody had said what the form was. The more I looked at other people’s biographies, the more I realized that the form was really up for grabs, that people didn’t necessarily write in a linear fashion. There are many modes of biography today, some more experimental than others. But I didn’t feel that I could take that many stylistic liberties, particularly with the life of somebody who was not as well-known. There was so little reliable information available about Mina Loy that I felt my responsibility was to put together as much I could about the shape of her life and the multiple contexts in which she lived. 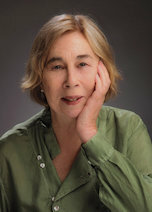 Because she’s primarily known as a poet, there was an obligation to talk about her poetry; at the same time, I didn’t want readers to think that I was yet another biographer reading a poet’s work as coded autobiography or as windows into her life. Personally, I don’t think that there’s a reductive either/or choice between doing ‘pure’ literary criticism or autobiography; I think there are subtle ways of blending the two. My solution was to consider the poetry in sections that serve as interludes, points in which we can step back from the narrative of her life to look at the poems, where they can be seen in their historical context. Of course, in some cases there is coded autobiography in Loy’s poems, as with anybody’s. Of course. But if you set the poems in their historical moment and talk about the forces brought to bear on the autobiographical content, I think you’re doing more than bringing out the autobiography. I certainly don’t think that poems come from nowhere, although I was trained in the New Criticism, which emphasized the form at the expense of personal content. That’s a useful way to learn to read, but it’s limiting at times. Mina Loy was a lot of things to many different people, and allied with many different artistic, social, and political movements of the early twentieth century. And while she was romantically linked with many of them, she was also a highly productive artist in her own right, not a hanger-on. I see her as quite representative in that way. She was quirky and eccentric, but you can see in her a connection between the artistic radicals and the political radicals. And there was certainly more to her than being the lover or wife of this or that artist. There’s a famous photograph of her by Man Ray, a profile of her wearing a thermometer as an earring. Recently, a scholar at Yale showed a slide of the photograph and said, “Oh, yes, that’s Mina Loy, Arthur Cravan’s wife.” That was all he said, without going into anything at all about her own amazing range and artistic production. It’s terribly easy for women in that period to be reabsorbed into history as the companions to famous men. This biography came out at the same time as a new collection of her poetry, The Lost Lunar Baedeker, from Farrar Straus Giroux, your publisher. How much did you know about that collection’s development, and did you coordinate anything with Roger Conover, its editor? My book was contracted to FSG about six years ago. At that point, I very much wanted there to be a new edition. It wasn’t until a few years later, discussing the need for another edition of Loy’s poems with my editor, that I learned that he was in contact with Conover, Loy’s literary executor, and that they decided it would be timely to bring out a new edition of her poems. The previous edition, The Last Lunar Baedeker, was a very beautiful book, but had a number of textual errors which a new edition could correct. The only problem that it gave me was that my book had to be held back in order to come out at the same time as the poetry, but in the long run, this may be better for both our books. It’s certainly better for Mina Loy.